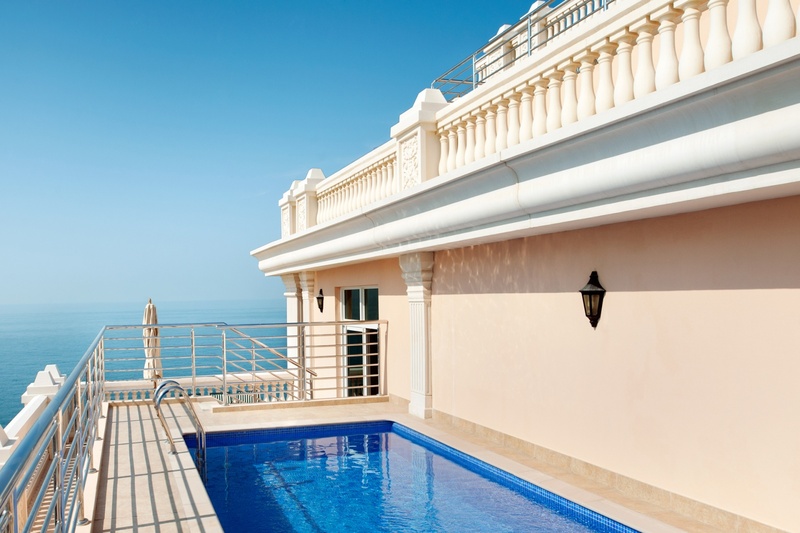 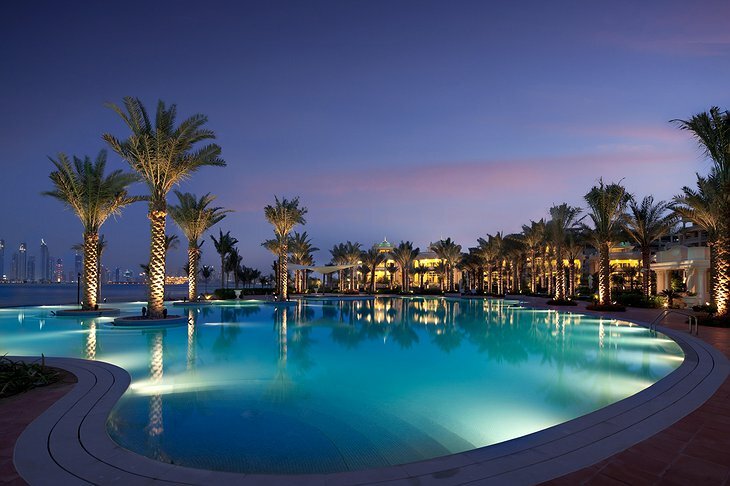 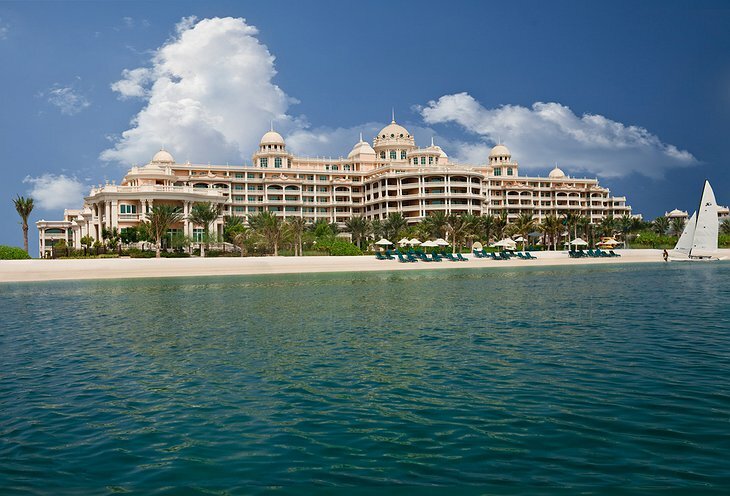 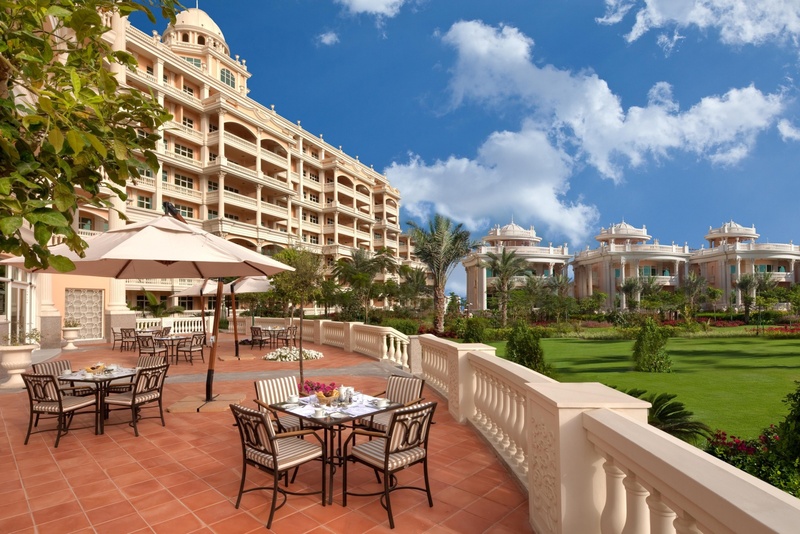 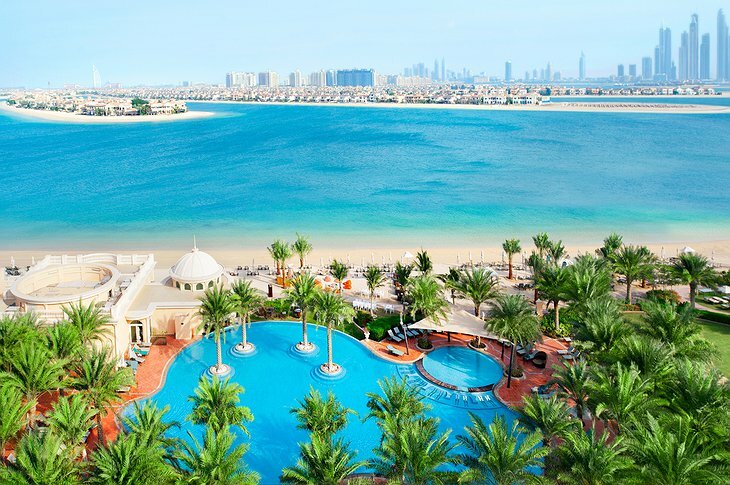 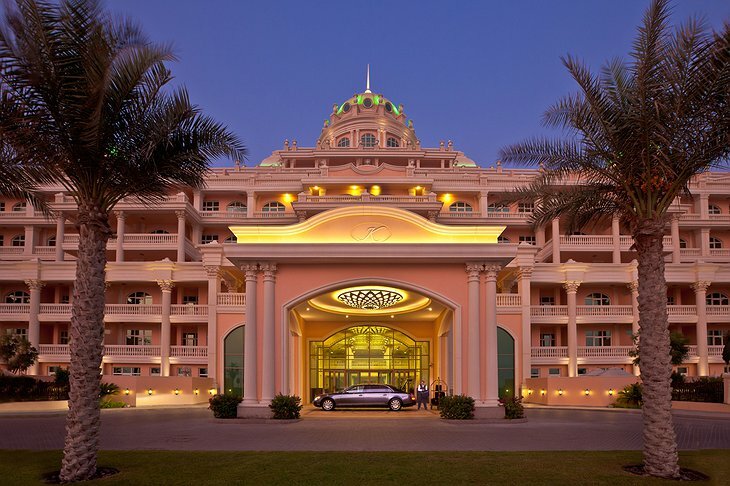 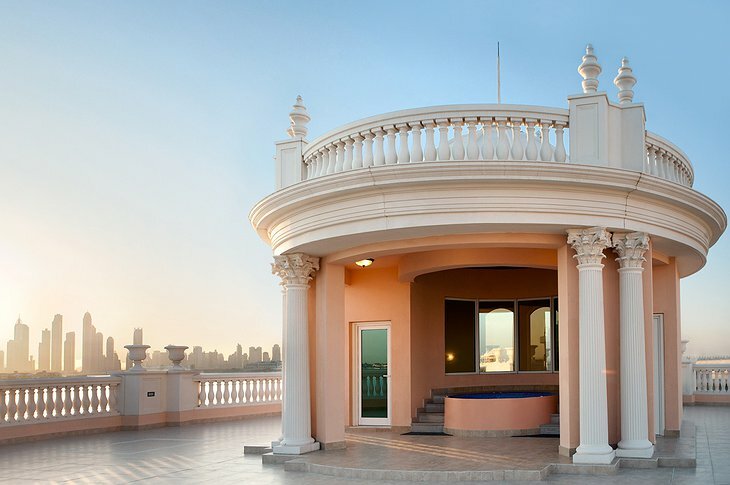 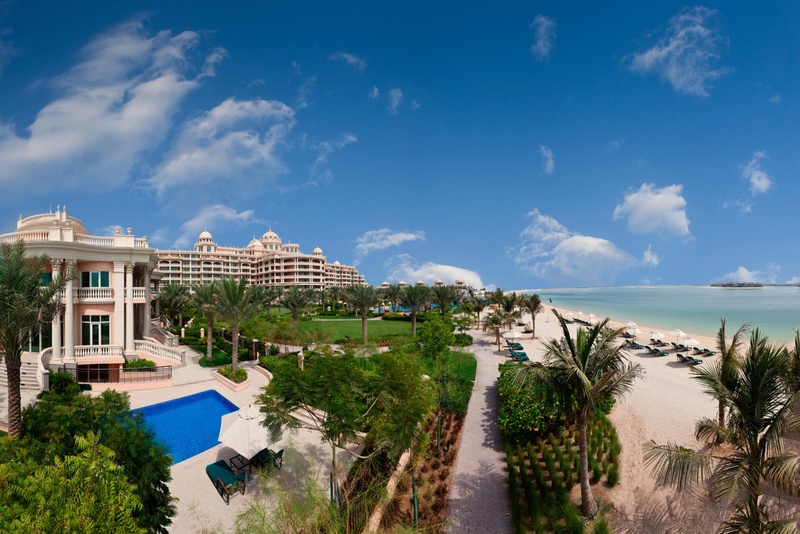 One of the most exquisite hotels that sits on the artificial island of the palm shaped island with private beaches beautiful pools, excellent dining, set on a magnificent 5 acre sprawl of land is the Kempinski Hotel & Residences Palm Jumeirah. 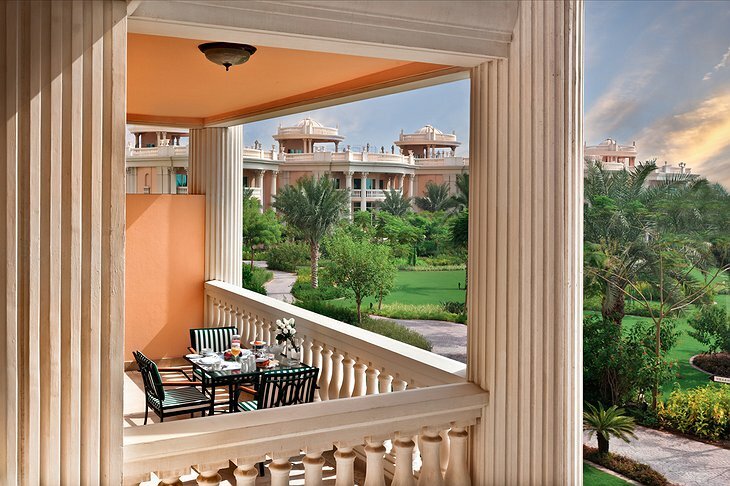 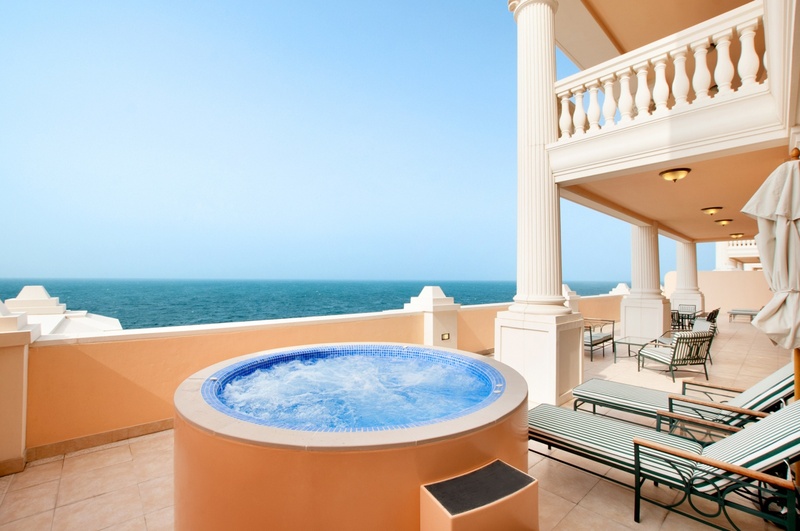 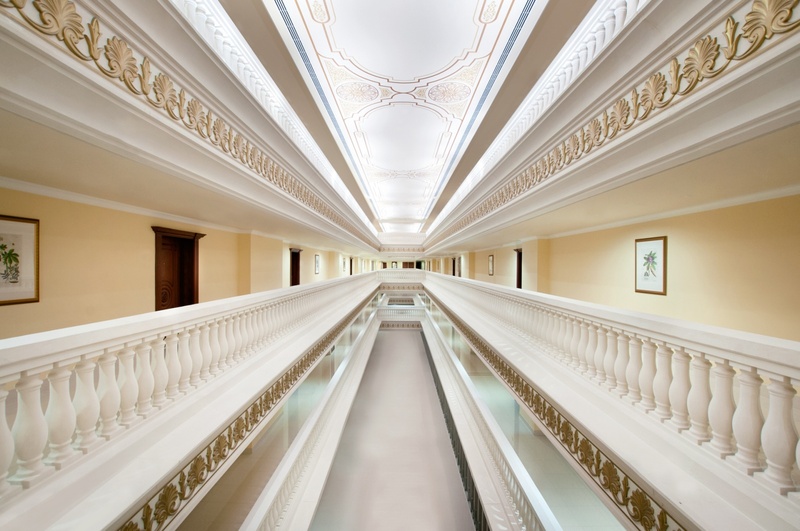 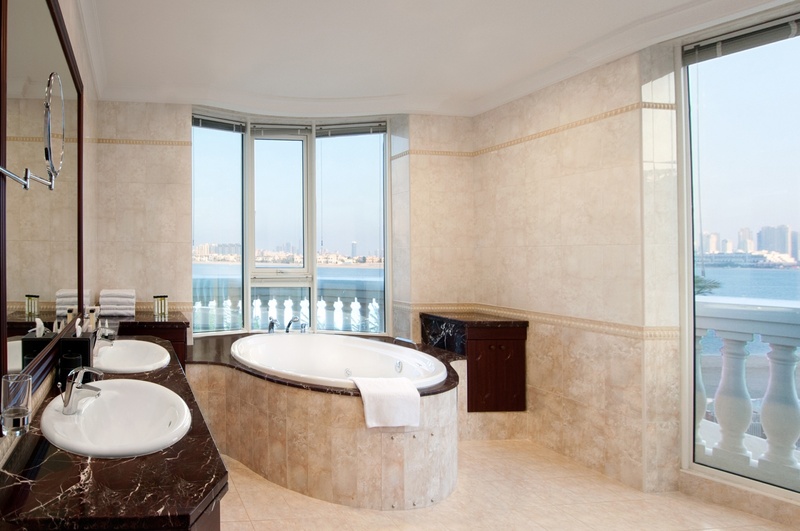 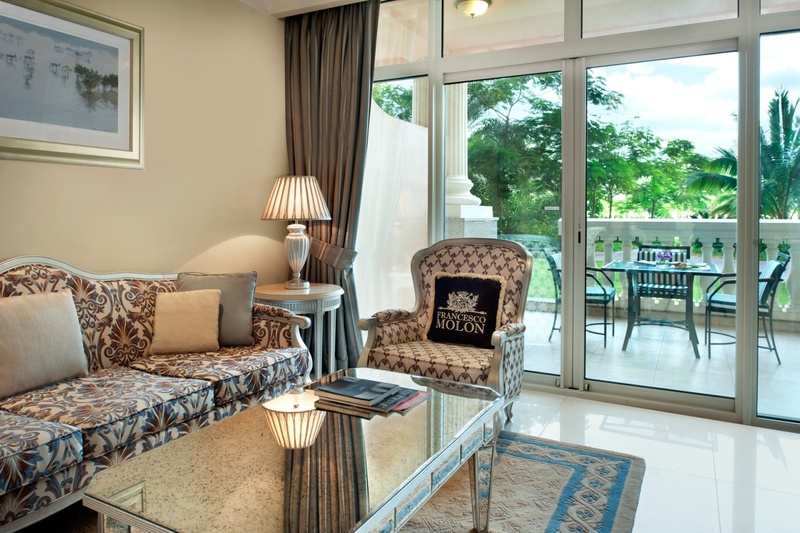 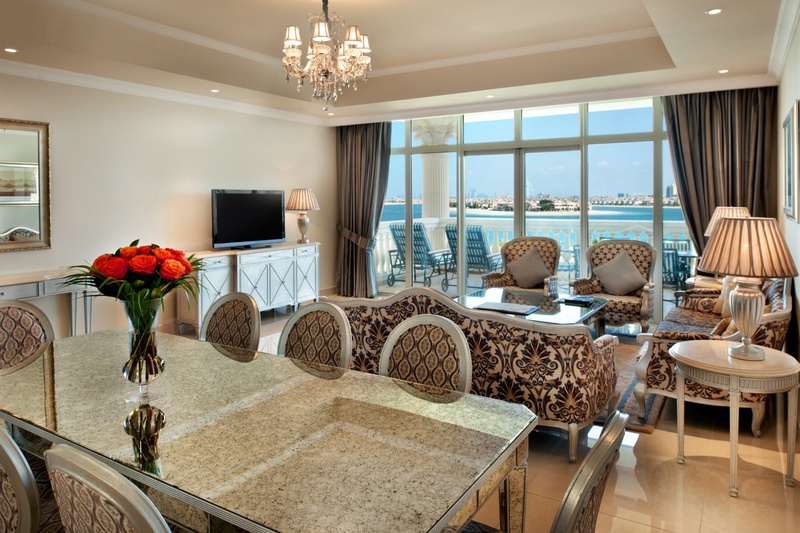 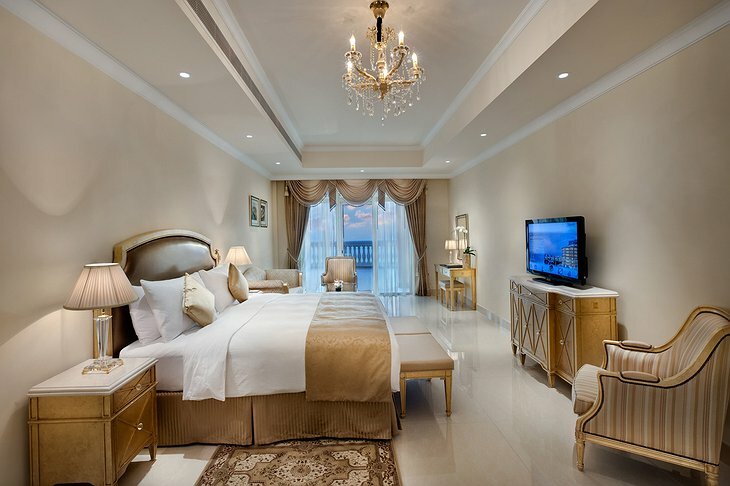 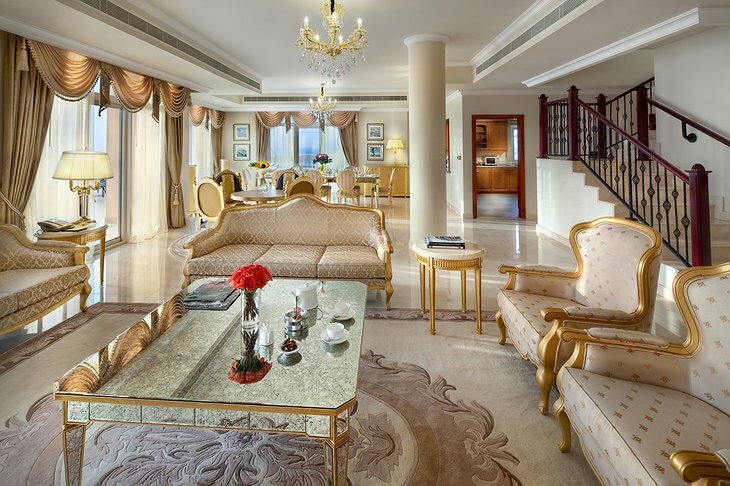 Kempinski offers a choice of 244 suites, villas, and penthouses that come fully equipped with all your modern comforts. 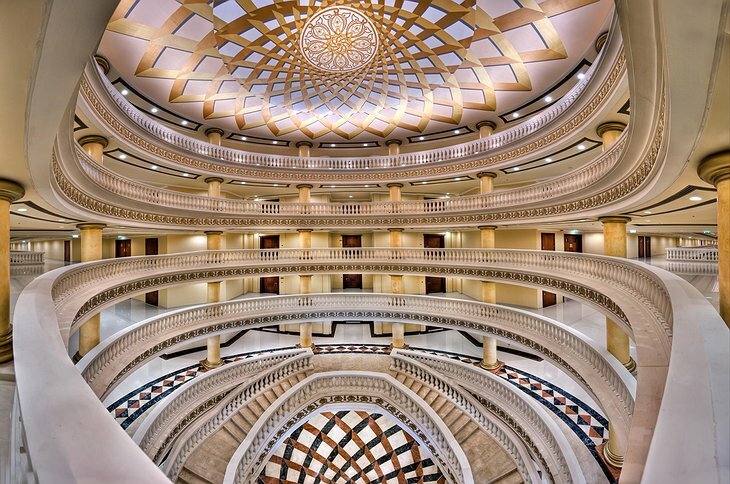 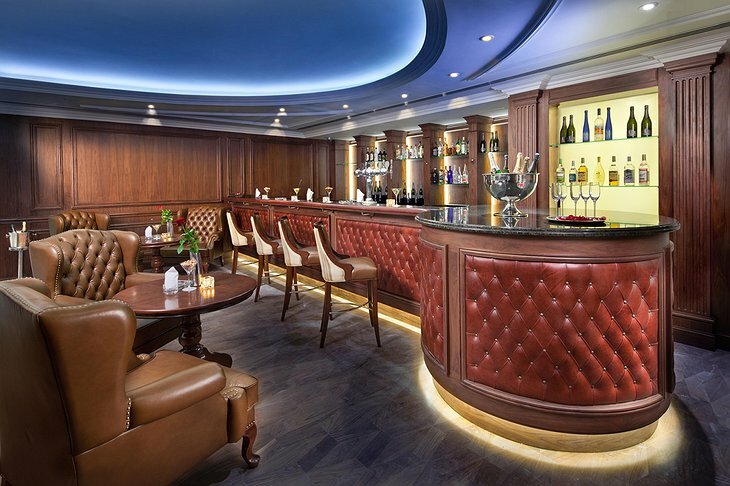 The Kempinski hotel takes relaxation seriously, which is why they offer guests a 24-hour full service gym as well as a Parisian themed relaxation center and spa (Cinq Mondes Spa). 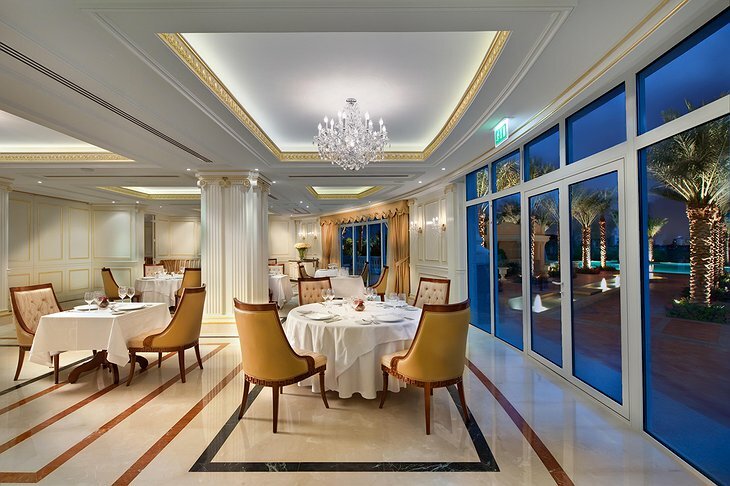 Enjoy the views of Dubai and the Arabian Gulf, or take a shuttle to “the walk” for world class dining and shopping after your relaxing days. 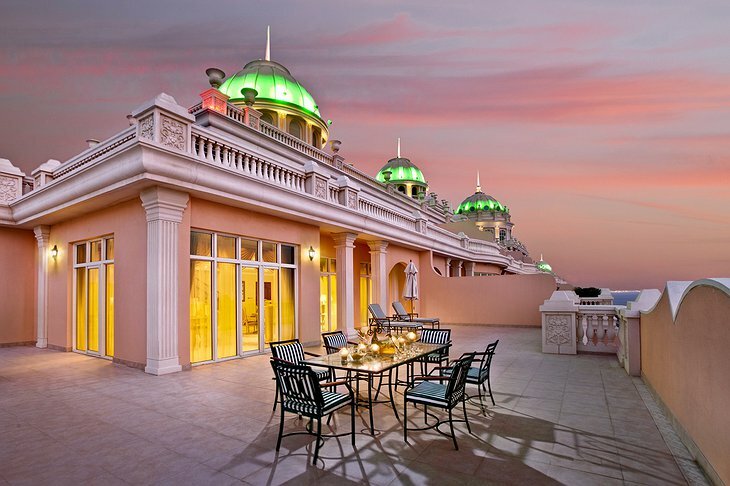 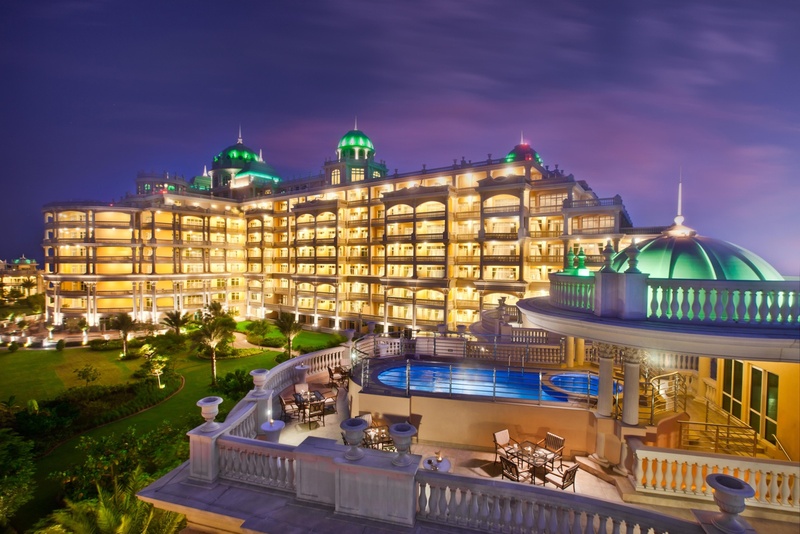 Inspired by classic European architecture, the Kempinski property showcases Palladian domes that shine like emeralds as the night sets in. Their rooms boast Italian designer furniture from the Francesco Molon design family. 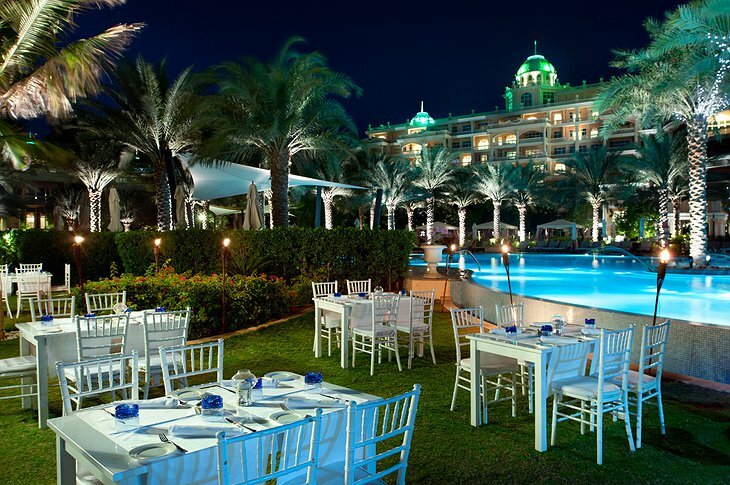 They make dining easy with two year round restaurants, a swim up pool bar, and a seasonal beach bbq restaurant as well as 24-hour room service.